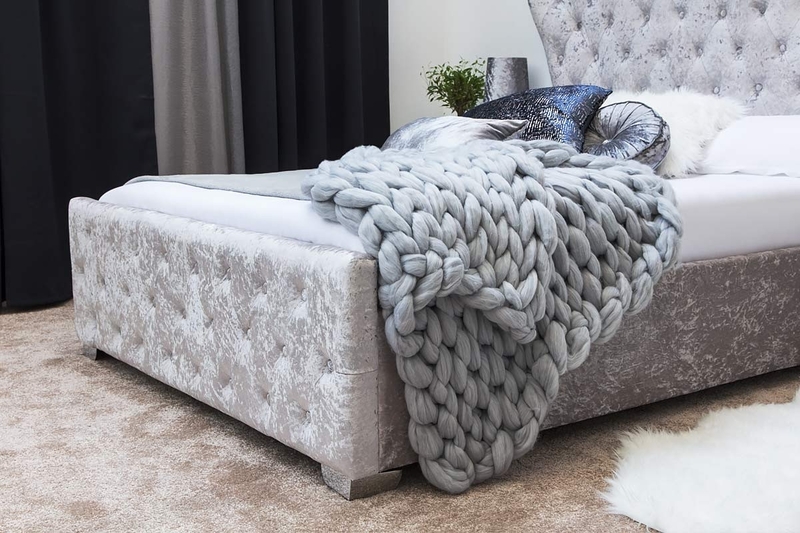 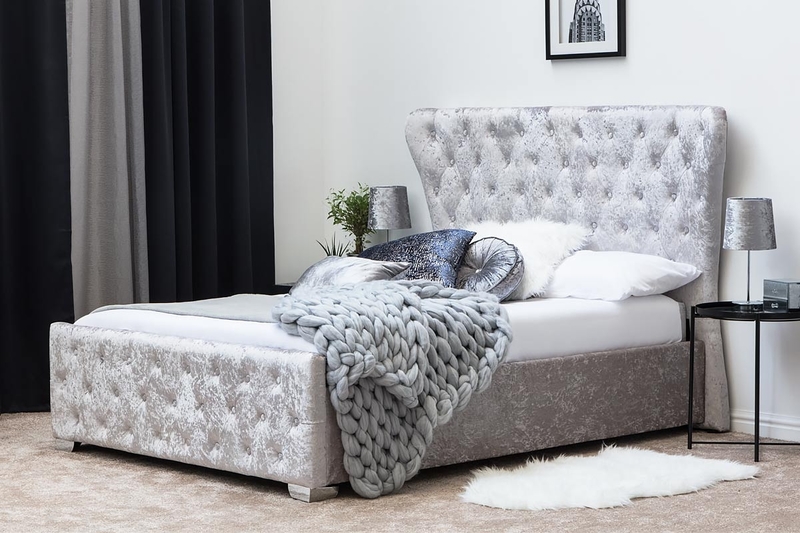 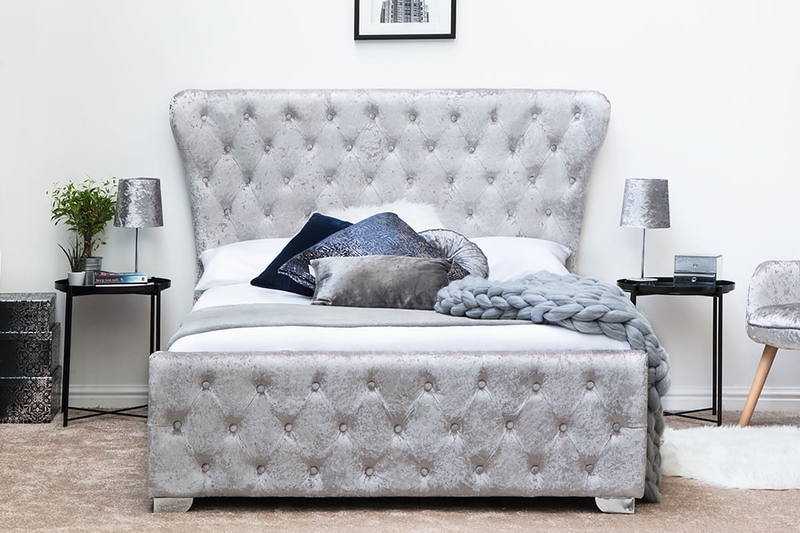 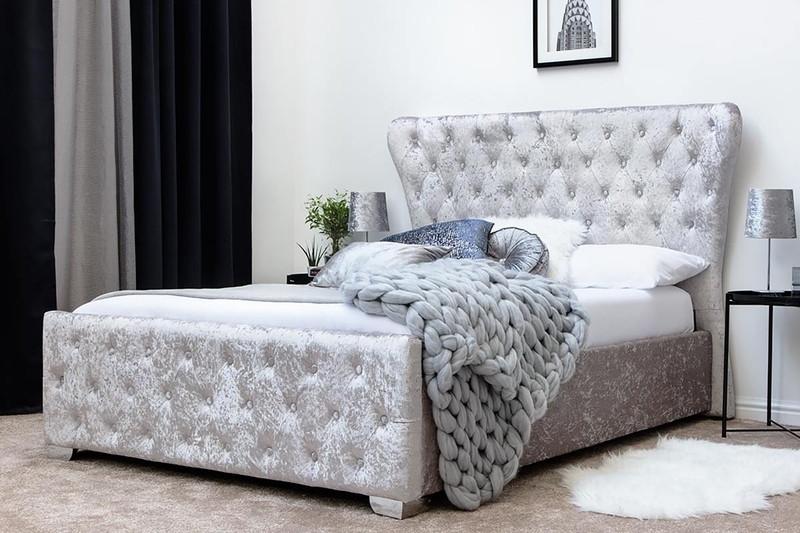 The Bridewell Bed is a striking plush feature piece for your bedroom and a majestic place for you to rest your head. 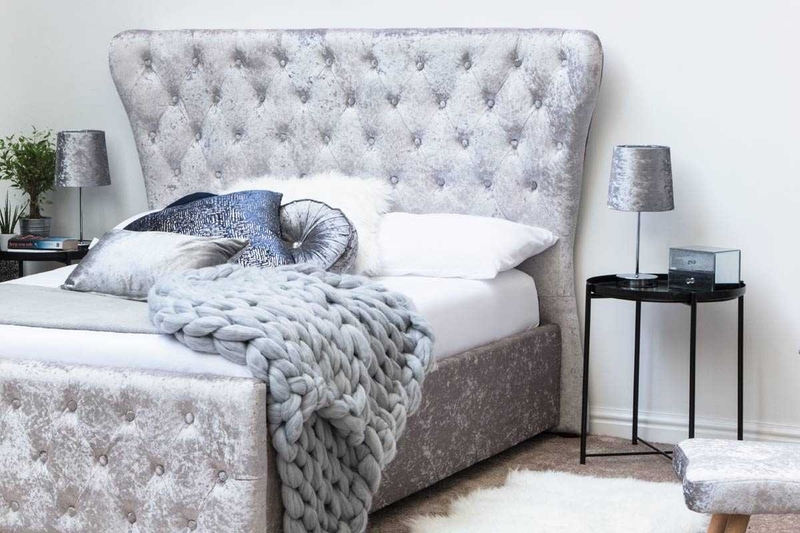 The bed is upholstered in shimmering silver crushed velvet. 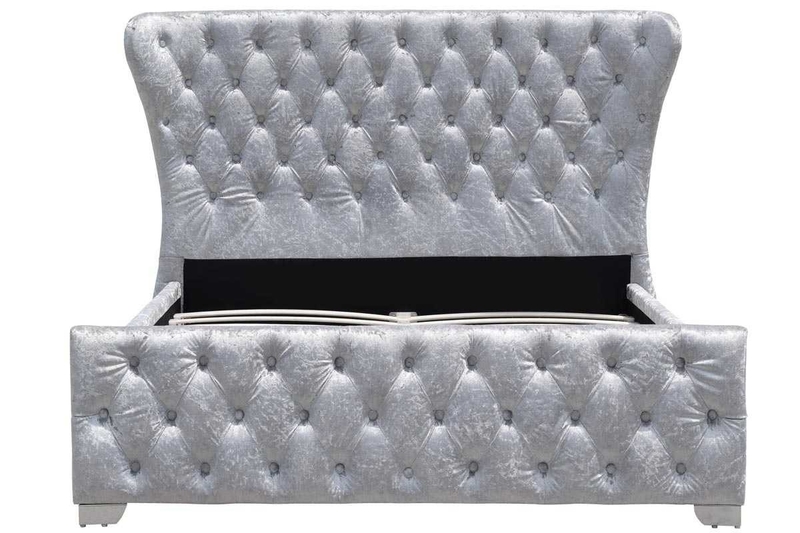 with deep tufted head and footboards with button detail. 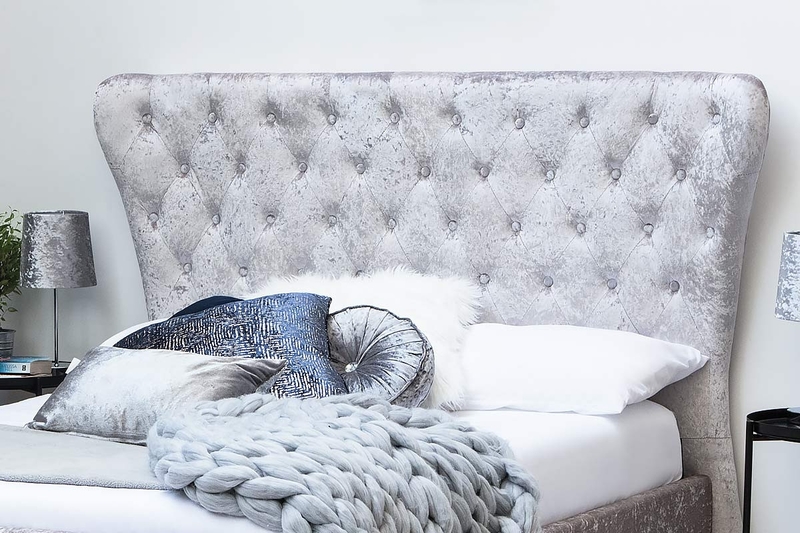 The most striking feature of the Bridewell is its impressive winged headboard which curves slightly inwards for total splendour. 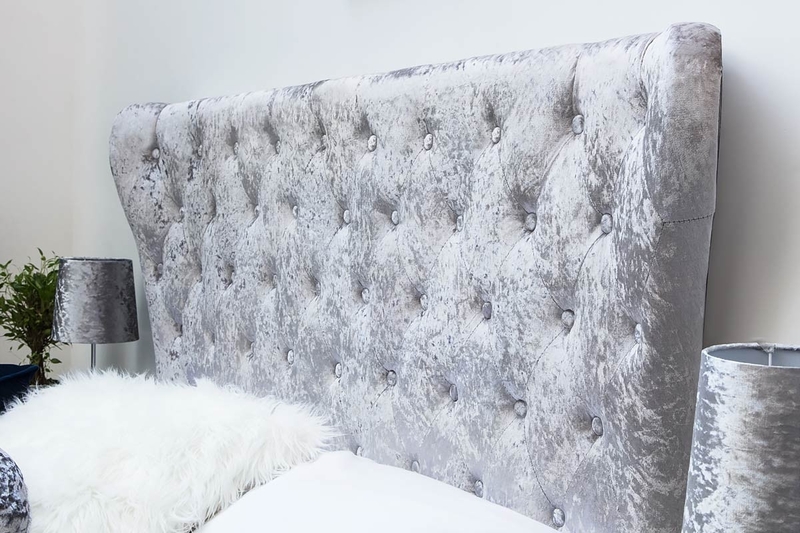 Its soft upholstered headboard is perfect for relaxing your head against whilst reading a book or watching tv. 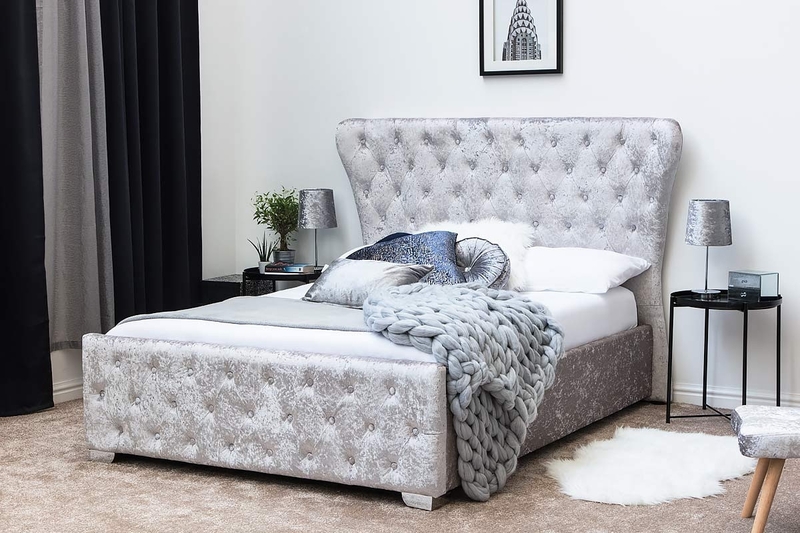 The bed’s modern glamour is finished off with cool chrome effect feature feet.